Best Motoring Book 2011 Winner of the Mercdes -Benz Montagu of Beaulieu Trophy. 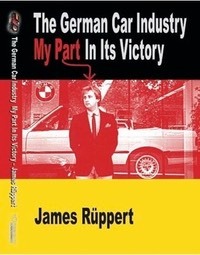 James Ruppert explains why cars built in Germany during the 1980s were quite simply Wunderbar. Life Affirming - Chas Hallet Editor in Chief What Car?